This collection of flowers lie peacefully atop your loved one's casket. 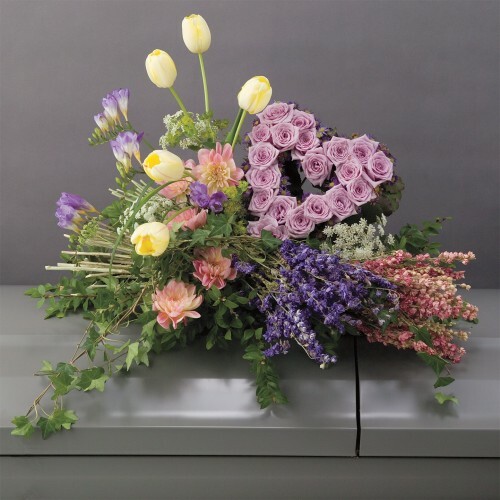 Our "Loving Heart Tribute Casket Spray" includes lavender and pink larkspur, yellow tulips, light pink dahlias, and more. What makes this arrangement stand out even more is the beautiful rose heart paying tribute to the deceased.